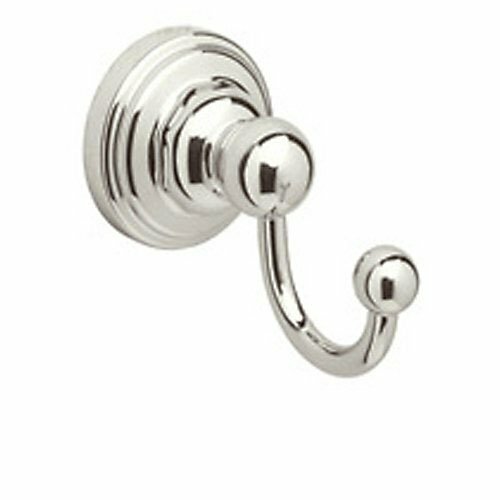 U.6921PN Finish: Polished Nickel Features: -Mounting hardware included. -Brass construction. -Perrin and Rowe collection. Product Type: -Towel/Robe hook. Style: -Modern. Mount Type: -Wall mount. Primary Material: -Metal. Dimensions: Overall Height - Top to Bottom: -2.5". Overall Depth - Front to Back: -2.75". Overall Length - Side to Side: -2".